Wherever he appears, chess fans gather in crowds. His voice is of importance, and not just in chess. Garry Kasparov is the strongest chess player of our time and a great personality who can represent the sport like no other chess professional. Now the great magician has introduced two new multimedia DVDs, setting new standards in chess training. 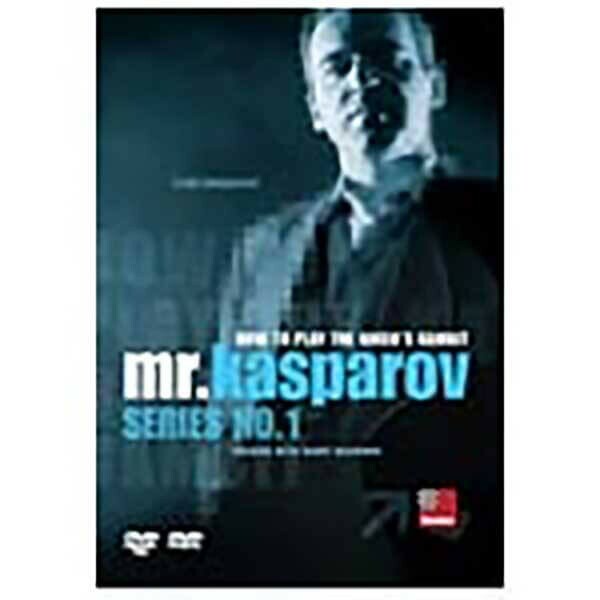 Let Garry Kasparov himself reveal to you the secrets of his favourite systems. Experience the greatest chess genius of our time in picture and sound! Kasparov took to the Queen's Gambit at a relatively late stage of his chess career, but then had the best training anyone could imagine: in his first match for the world championship against Anatoly Karpov, this opening appeared on the board no less than 19 times. Kasparov has played the Queen's Gambit both with the white and black pieces, exploring its deepest subtleties. And now he is eager to share this knowledge with you. With great verve he speaks about variations and ideas of the Classical Queen's Gambit, the basics of which were laid by the great champions of their times Steinitz, Lasker, Rubinstein, Capablanca and Alekhine. Yet Kasparov does not just work through the variations; one by one, fluent transitions make the spectator see completely new connections. Even people who don't actually play this opening will benefit enormously from Kasparov's explanations, learning from this genius understanding of the game and his views on chess history. Kasparov is a part of chess history himself, and so his accounts feature many of his own experiences for example why in particular situations of his matches certain openings were played, and what the effects of these choices were.